Last night saw the finale of The Ultimate Fighter season 27. It was announced at the event that next season’s teams would be coached by middleweight champion, Robert Whittaker and top contender, Kelvin Gastelum. It seems Kelvin Gastelum will get his long deserved title shot. This news is contrary to our report that Whittaker wanted to fight Chris Weidman next. The tradition of the coaching gig is that it also sets up a bout between the coaches. The announcement comes shortly after a report by Ariel Helwani that the UFC were trying to make the fight. It is worth noting though that Weidman was also a potential option. This is also somewhat of a swerve regarding the fate of The Ultimate Fighter as a show. The long running companion series was seeing a decline in ratings and a new feeder show in Tuesday Night Contender had emerged. The success of the latter reduced the need for TUF and led to whispers that this season may be the last. Perhaps the narrative of two stars coaching opposite each other, before facing each other in the octagon, is too useful to discard. Nevertheless, Weidman versus Gastelum is a great fight. 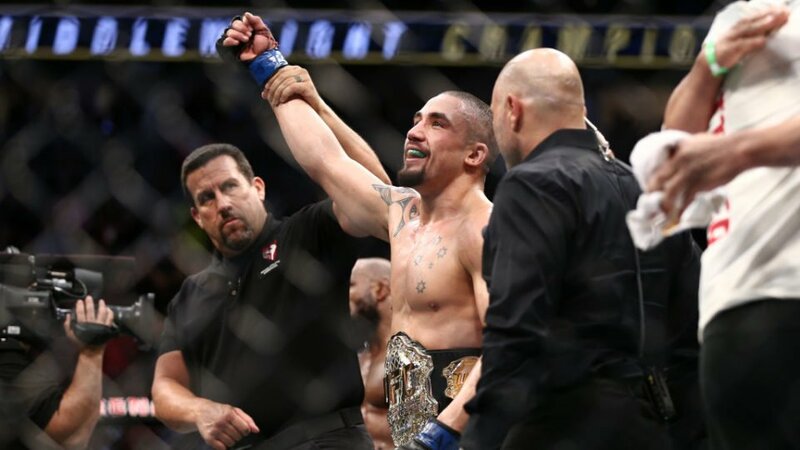 With Whittaker as champion, the middleweight division is carving out a niche as the place where contenders get their shot, immune to the over-saturation of superfights and interim titles. Gastelum vs WhittakerKelvin GastelumRobert WhittakerThe Ultimate FighterTUF 28UFCUFC middleweight championshipwho will Robert Whittaker fight next?will Kelvin Gastelum fight for the middleweight title?